Refugee camps are imbued in the public imagination with assumptions of anarchy, danger and refugee passivity. Governing Refugees: Justice, Order and Legal Pluralism challenges such assumptions, arguing that refugee camps should be recognized as spaces where social capital can not only survive, but thrive. This book examines camp management and the administration of justice in refugee camps on the Thailand-Burma border. Emphasising the work of refugees themselves in coping with and adapting to encampment, it considers themes of agency, sovereignty and legal pluralism in an analysis of local governance and the production of order beyond the state. Governing Refugees will appeal to anyone with relevant interests in law, anthropology and criminology, as well as those working in the area of refugee studies. Kirsten McConnachie is Joyce Pearce Junior Research Fellow at Lady Margaret Hall and the Refugee Studies Centre, University of Oxford. Her research continues to study self-reliance and self-governance strategies among refugees from Burma. During the past two decades, a substantial transformation of law and legal institutions in developing and transition countries has taken place. Whether prompted by the policy prescriptions of the so-called Washington consensus, the wave of democratization, the international human rights movement or the emergence of new social movements, no area of law has been left untouched. This massive transformation is attracting the attention of legal scholars, as well as scholars from other disciplines, such as politics, economics, sociology, anthropology and history. This diversity is valuable because it promotes cross-disciplinary dialogue and cooperation. It is also important because today the study of law cannot ignore the process of globalization, which is multifaceted and thus calls for inter-disciplinary skills and perspectives. Indeed, as globalization deepens, legal institutions at the national level are influenced and shaped by rules, practices and ideas drawn, imposed or borrowed from abroad. Why not download our FreeBook Law and Society: A Routledge Sampler? 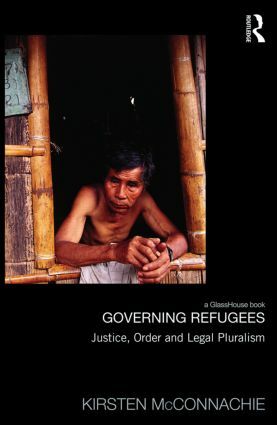 This resource contains a chapter from Governing Refugees, along with a selection of excerpts from our other titles in the field of sociolegal studies.